A detailed map indicating the location of the math department, the lecture hall and the dinner retaurant. Planning to participate? please register. 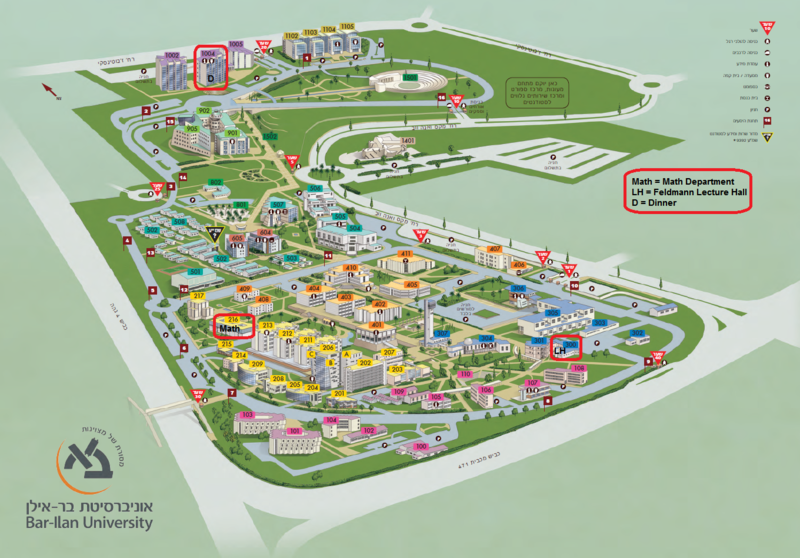 Venue: Bar-Ilan University, Feldmann Auditorium (see map to the left of this page). Organizers: Avinoam Mann, Louis Rowen, Uzi Vishne and Eliyahu Matzri. Advances in Noncommutative Algebra, on the occasion of Louis Rowen's retirement, June 25th-29th.